Inspired by the great northern lights in Finland, deep blue fjords in Norway, and colorful houses in Copenhagen, Nordic Collection by OPI brings the diverse colors of its namesake region to nails and toes for F/W 2014. This new collection of 12 lacquers features a palette ranging from spicy browns in shades of bronze, cinnamon and caramel to rich purples in wine, black cherry and blue-violet hues, with accents of creamy coral, pink and sea green. Skating on Thin Ice-Land Watch out! This black cherry is dangerously close to gorgeous! Nordic Collection nail lacquer shades each feature OPI’s exclusive ProWide™ Brush for the ultimate in application. 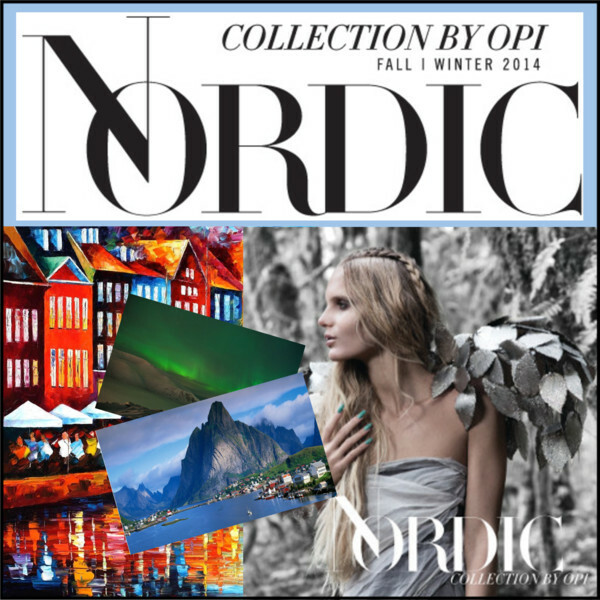 Nordic Collection by OPI will be available in both nail lacquer and GelColor from August 13, 2014 for CHF 23.90 per bottle.